This past weekend, we got our first snow of the season in the Philadelphia area. Yes, you read that right…snow! There is something strange about looking out the window and seeing snow in the foreground and vibrant orange and yellow leaves still on the trees in the background. 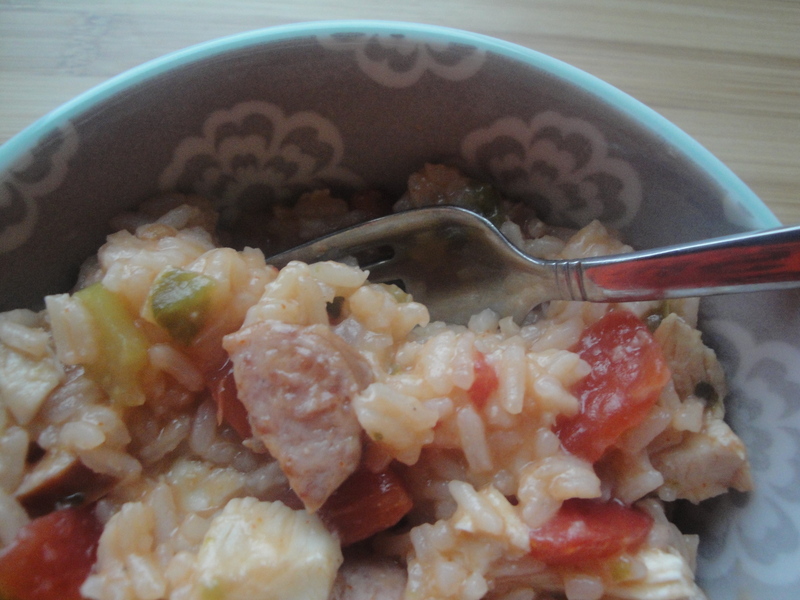 The sound of the chilly wind and sharp ice particles hitting my window prompted me to reach for a one pot dish like Chicken and Sausage Jambalaya. I made this recipe early on Saturday morning while it was still slightly dark out and my house smelled like warm comfort food all morning long. 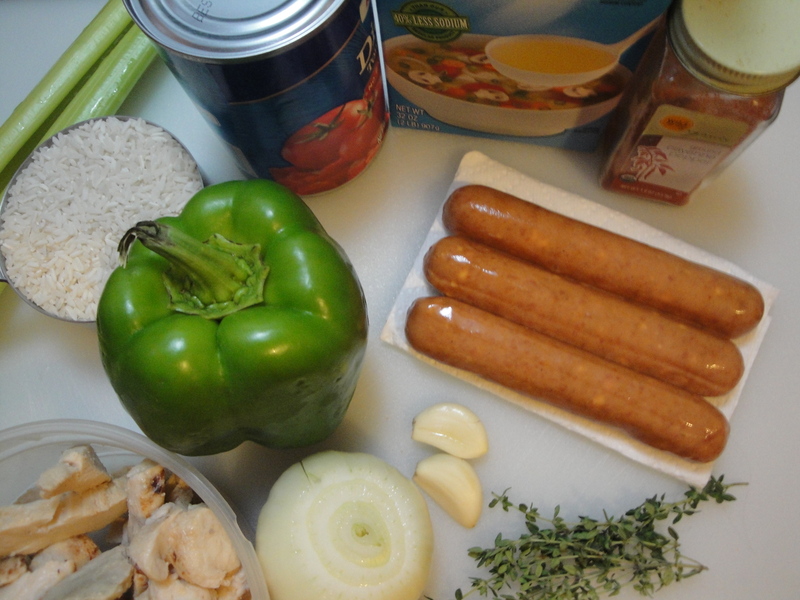 Smoked sausage is cooked with onion, green pepper, and celery before being simmered with long-grain rice, chicken broth and thyme. 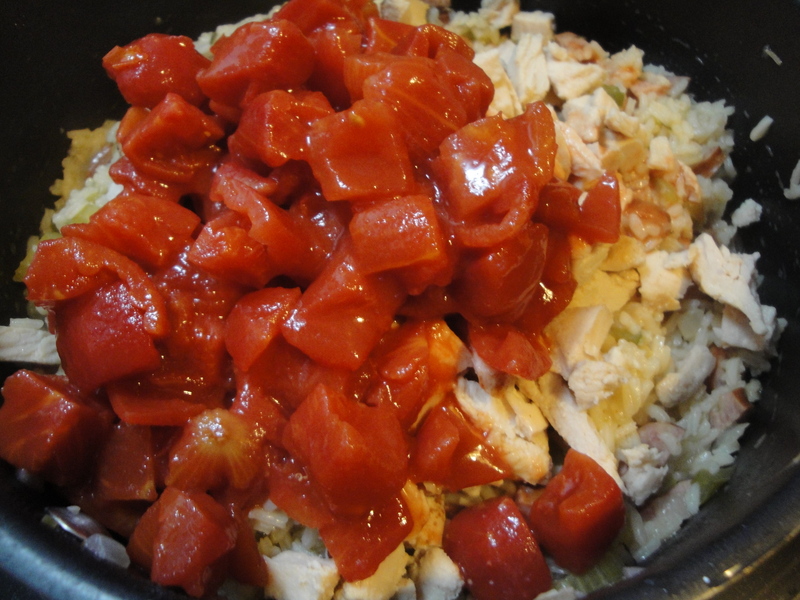 Once the rice is cooked and the liquid is absorbed, diced tomatoes, cayenne pepper, and cooked chicken are added. I used smoked turkey sausage with pepper jack cheese in this dish which added another level of heat with the cayenne pepper and was very tasty. I also used precooked chicken which has become one of my favorite time savers. I grabbed a warm bowl of this and ate it while I cozied up on the couch with a blanket and watched the unseasonal slushy snow fall. Hopefully you’ll try this too, only without the snow! 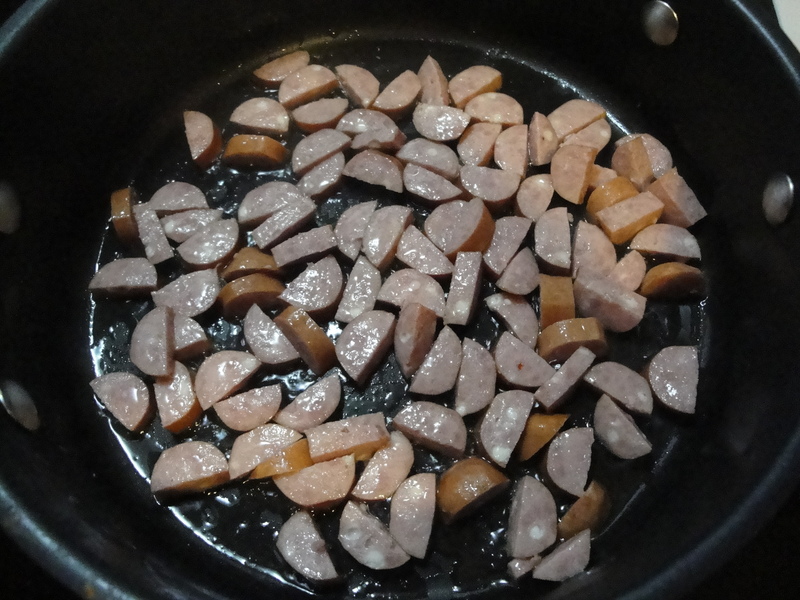 Cook chopped sausage in canola oil until browned. 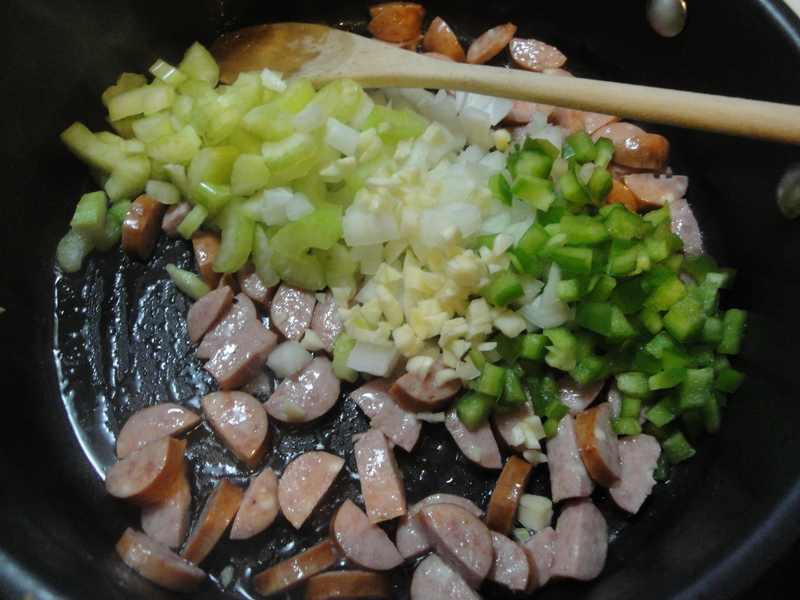 Add in celery, onion, green pepper, and garlic. 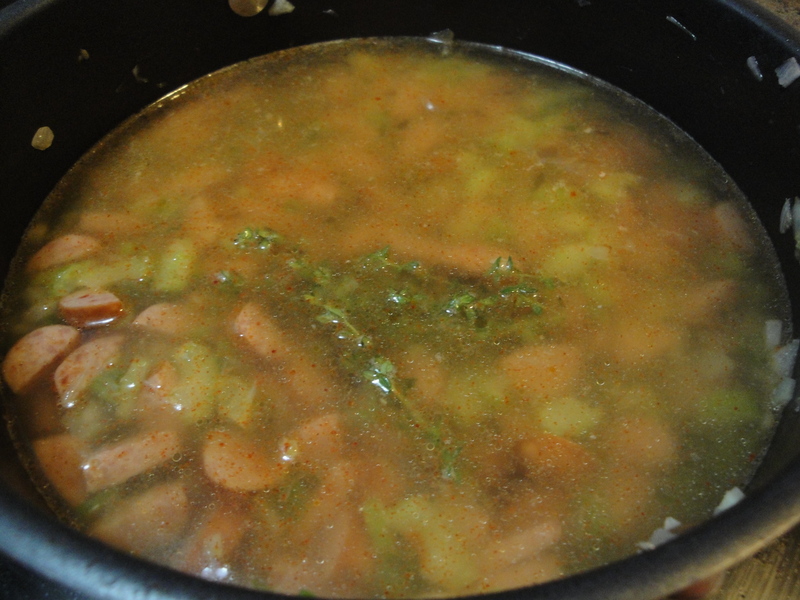 Once vegetables are tender, add in rice, water, broth, cayenne, salt, and thyme sprigs. 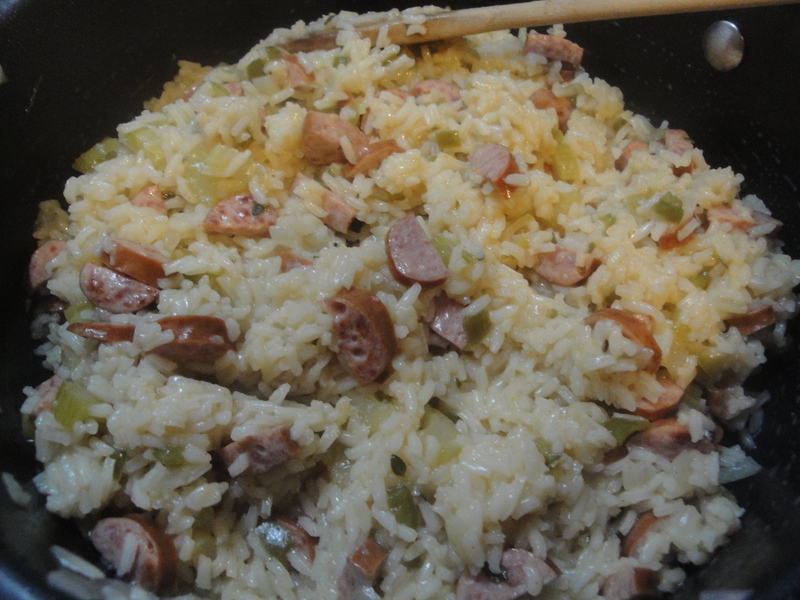 Bring to a boil and let simmer for 20 minutes until rice is cooked. When rice is cooked and all the liquid is absorbed, remove the thyme springs and stir in cooked chicken and undrained diced tomatoes. 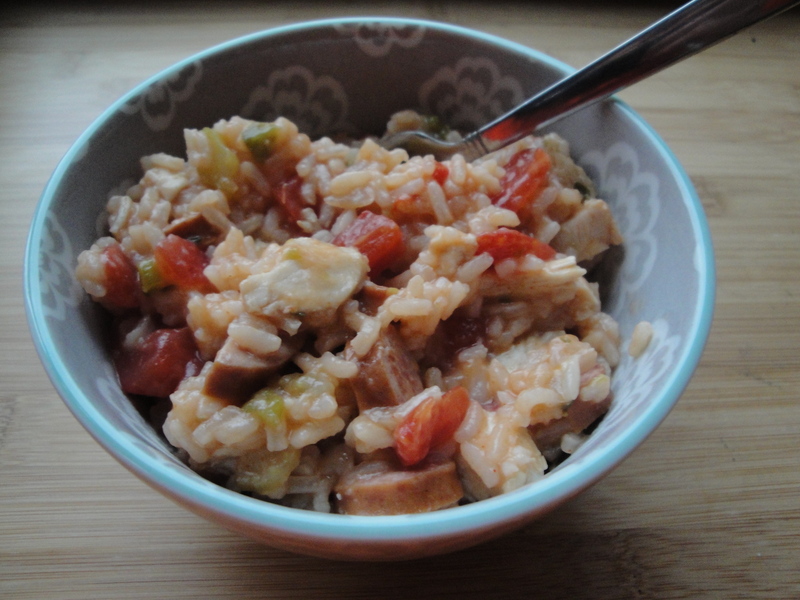 Cook a few minutes more until chicken and tomatoes are warm. This sounds delicious! 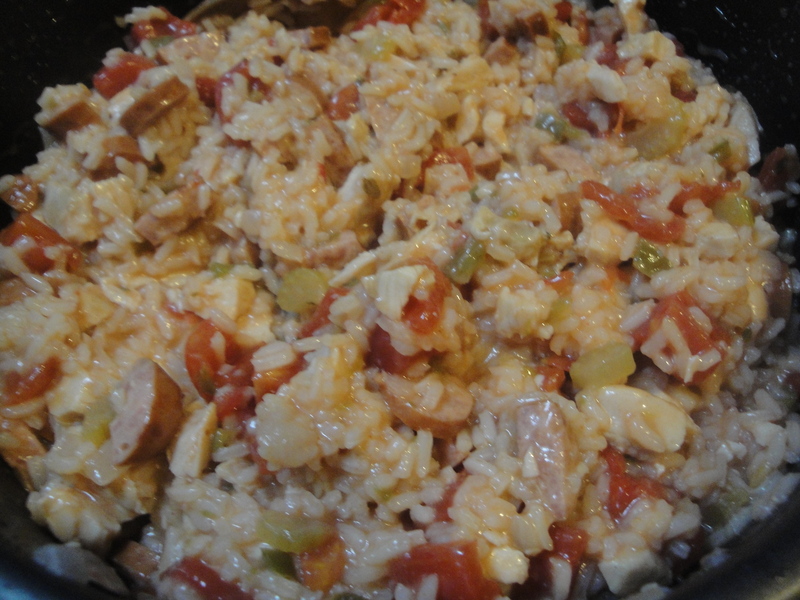 I always make jambalaya out of the box, but I’m going to try this way!